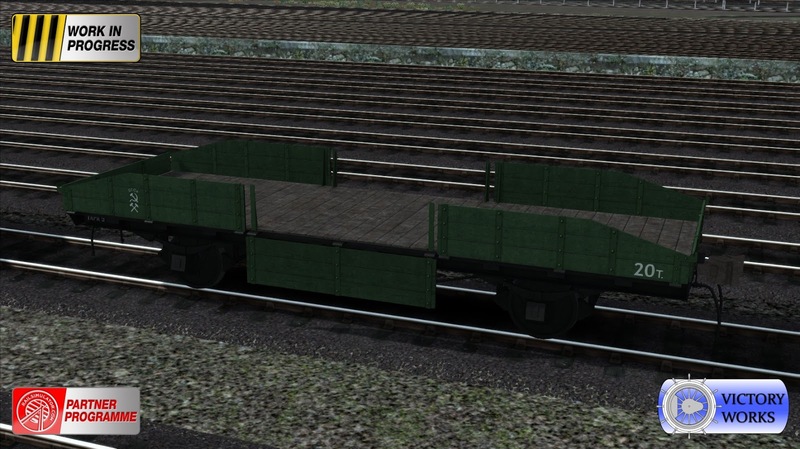 As promised here is the final part of the rolling stock for the S160, all with a USSR and Eastern European angle. 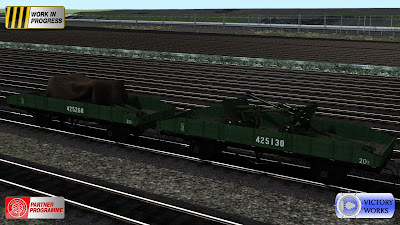 In the last blog post we showed the USATC 56ft Flat Car, available in standard and 1520mm gauge with Willison couplings and they were shown loaded with US6 trucks. 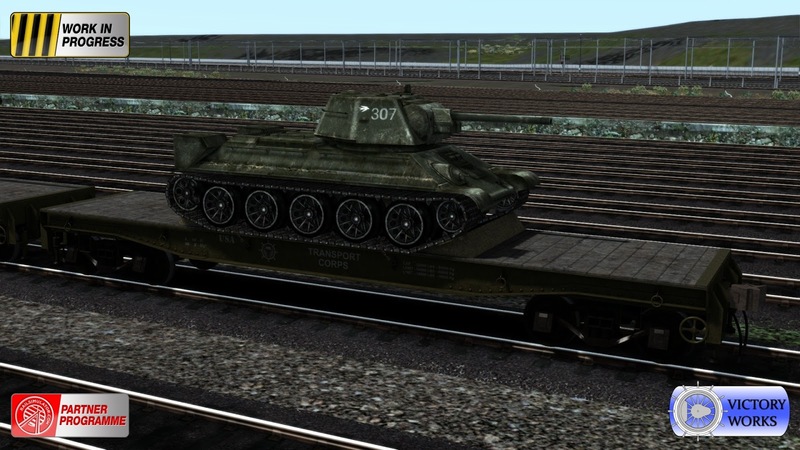 But we've provided armour for the other allied S160's so it wouldn't be fair to leave out our Soviet friends and what could be more iconic than the T34 tank, the backbone of the wartime Russian armoured divisions. 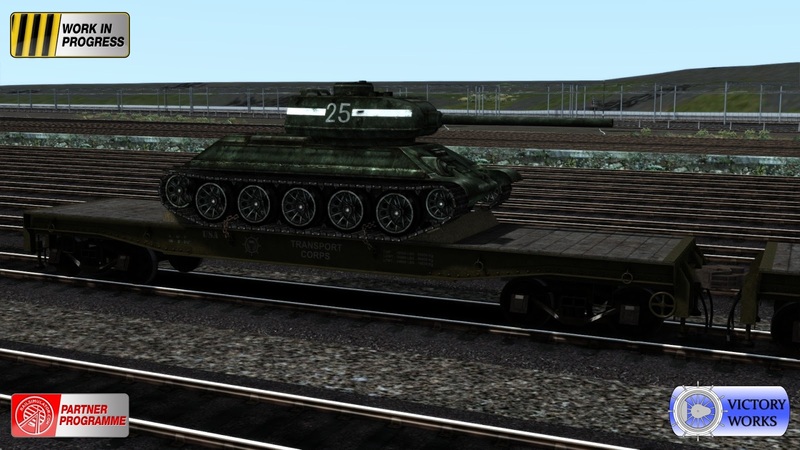 But there were a few variants of the T34, so which one? Well 2 of them in fact - the T34/76 and the T34/85. 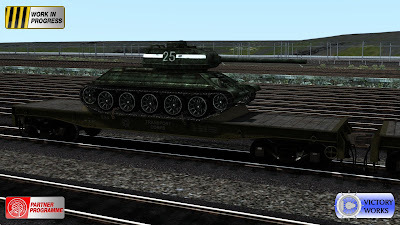 The tanks are shown chained and blocked to the flat cars but they are also available as static scenery and come with random numbering on the turrets. 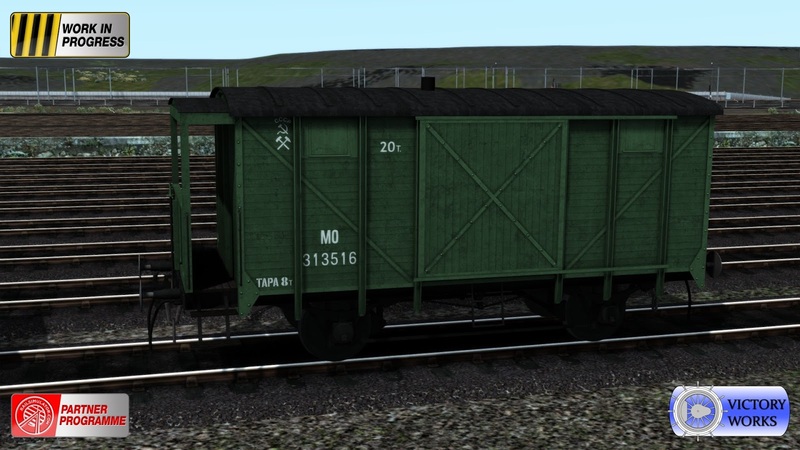 The T34/76 was also used by the Polish and as we're including 2 Polish liveried S160's (the Tr201 and Tr203, pre and post war) there is also a version loaded with a tank with Polish insignia, the 56ft flat having hook couplings for this version. Now we move on to a purely Russian wagon. 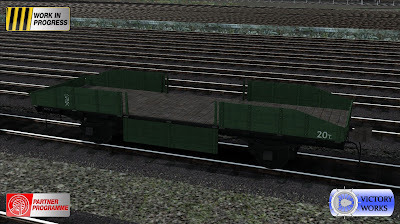 Shown here, the 20 ton flat car available with Willison or hook couplings and air brakes. It features dyanmic numbering and can be set with the side panels in 4 different positions: all up, middle down, ends down, all down. 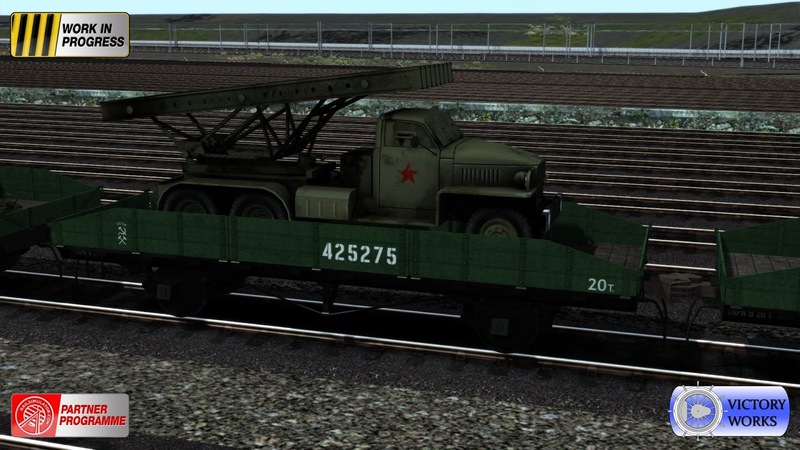 These were used to transport pretty much everything however we rather liked a picture of one carrying yet another piece of iconic Soviet weaponry - a rocket launching platform mounted on various types of truck, known as the Katyusha or "Stalin's Organ". 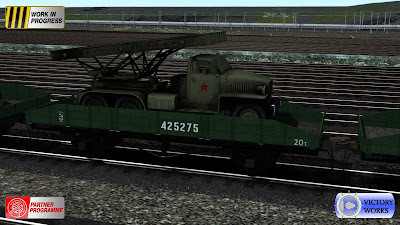 Although looking more like a pile of girders on top of a truck it was a very powerful weapon - arguably as important to the allied victory as the Spitfire or the Sherman tank. 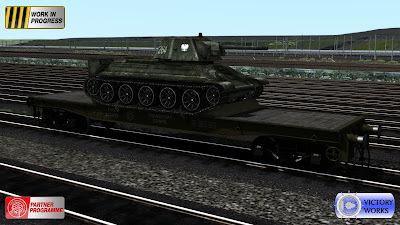 10,000 of them were produced during WW2 and testing showed that just four of them could unleash the same firepower as 75 field guns onto a 1.5 square-mile patch of ground in less than half a minute. They could then relocate quickly to avoid counter attack. Also loaded onto the 20 ton flat we have the ZIS-3 anti-tank gun. 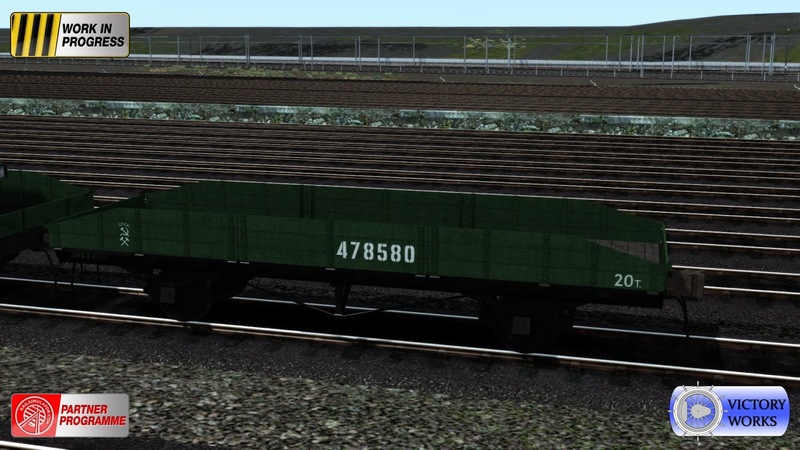 2 of these are mounted facing each other and can be shown covered or uncovered using the flat cars dynamic numbering. 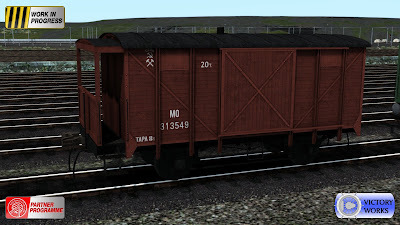 And finally to finish off both this post and a train of Russian cars, we have a WW2 era USSR brake van. Also available with 1520mm and standard gauge wheels, and with Willison or hook couplings, the brake van features an animated handbrake and a guards view. 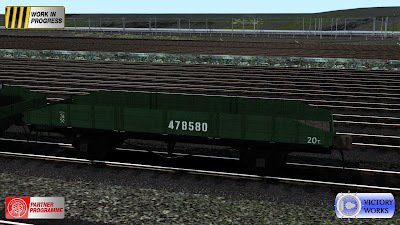 We have provided this in both brown and green liveries. And that wraps things up for the stock side of the S160. 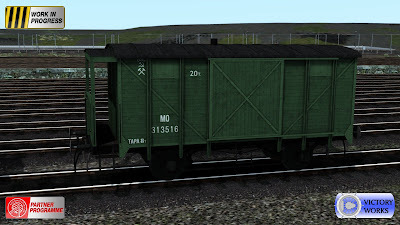 Next week we'll have one final post listing the exciting features of the S160 locomotive/s and a list of the full contents of the pack including the 10 scenarios covering 3 different routes - so it should have something for everyone. THANK YOU! IT MEANS SO MUCH! NOW MY SERIES IS COMPLETE! Wow what an exciting addition.